Impy RoboBrrd – Nicknamed ‘Impy’, short for ‘Important’. 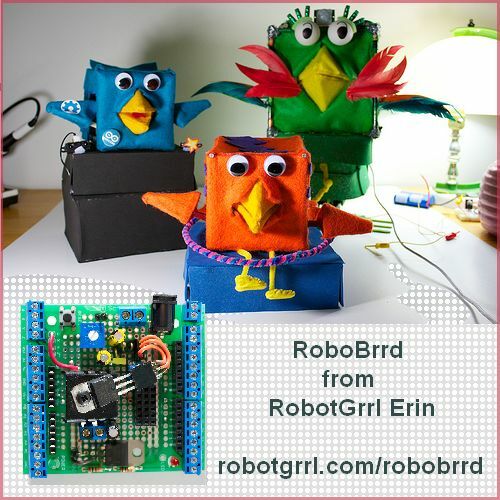 This is the latest RoboBrrd, and the official prototype that sparked the creation of an Instructable and intense documentation for the RoboBrrd robots! Impy uses a standard Arduino as a brain and has a NFC reader to see what hats it is wearing. BEAM is an acronym standing for Biology, Electronics, Aesthetics, Mechanics. While BEAM robots are often simple (consisting of a solar cell , motor, 2 transistors , and capacitor ), robots as complicated as 8-jointed, 4-legged walking spiders have been built using the principles of BEAM. The BEAMAnt is a phototactic bot which has potentially complex behavior depending on the light level. It has two photodiodes for light sensing, and two antennae which switch the motors into reverse when they touch something. The basic BEAM principles focus on a stimulus-response based ability within a machine. The underlying mechanism was invented by Mark W. Tilden where the circuit (or a Nv net of Nv neurons) is used to simulate biological neuron behaviours. Some similar research was previously done by Ed Rietman in ‘Experiments In Artificial Neural Networks’. Tilden’s circuit is often compared to a shift register, but with several important features making it a useful circuit in a mobile robot. 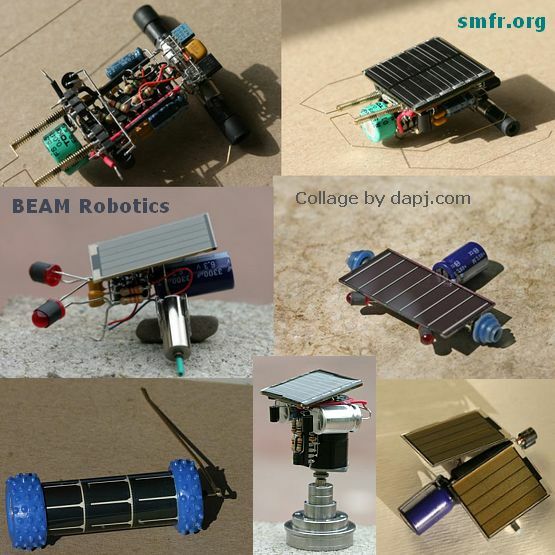 Solarbotics offers robot kits, solar-powered robots, books, electronic components, motors, parts and information on the expanding field of BEAM Robotics. One more nice site BEAM Robots and also BEAM Online. An irresistible collection of books, kits, robots, microcontrollers, science sets, electronics, tools and supplies, all curated by us, the people behind MAKE and Maker Faire. These Three can go into one Large Stocking. The 3D Christmas Tree Kits are a great way to celebrate the season – simply solder the LEDs and attach the PCBs to form a 3-dimensional Christmas tree that will brighten any desk or cubical. 9V battery and soldering required. Create some holiday cheer. 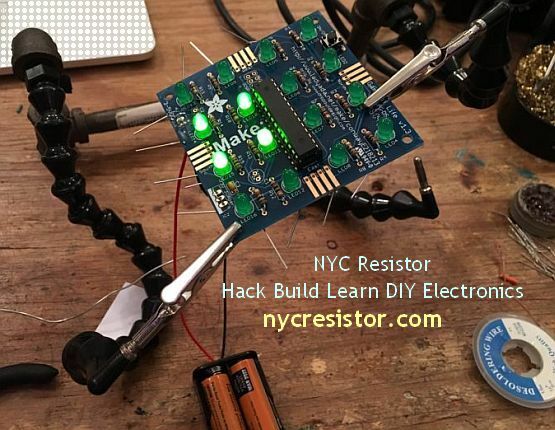 The Tiny Cylon kit is fun and easy to solder multi-mode LED Larson scanner kit. 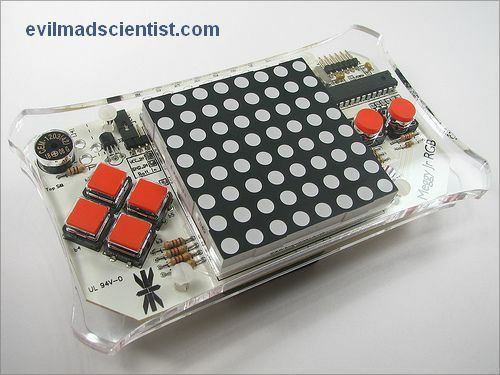 It features 5 red LEDs that blink or glow in various patterns. The Tiny Cylon uses an Atmel ATtiny 13 for is brains that comes pre-programmed with multiple LED sequences. Mitch Altman, president and founder, invented the company’s hit product TV-B-Gone® and turned the product into an international success practically overnight. TV-B-Gone universal remote control is the first fruit of our technical savvy, embodying our belief in empowerment, and sense of humor. TV-B-Gone now features the Instant Reactivation Feature which allows you to turn TVs on or off quickly and easily. Electronic Glasses – Trip Glasses! Blinking lights and sound guide you into gentle Meditation at home or Hallucinate in between meetings.This should not be used while walking, talking or driving any form of human transport including aircraft.